YUBA CITY, Calif. — Eight-year-old Bella Maloney woke up next to her little brother in a queen-size bed at a Best Western hotel and for breakfast ate a bagel and cream cheese that her mother brought up from the lobby. And then she was off to school for the first time in nearly a month. For Bella, brother Vance and thousands of other youngsters in Northern California who lost their homes or their classrooms in last month’s deadly wildfire, life crept a little closer to normal Monday when school finally resumed in most of Butte County. 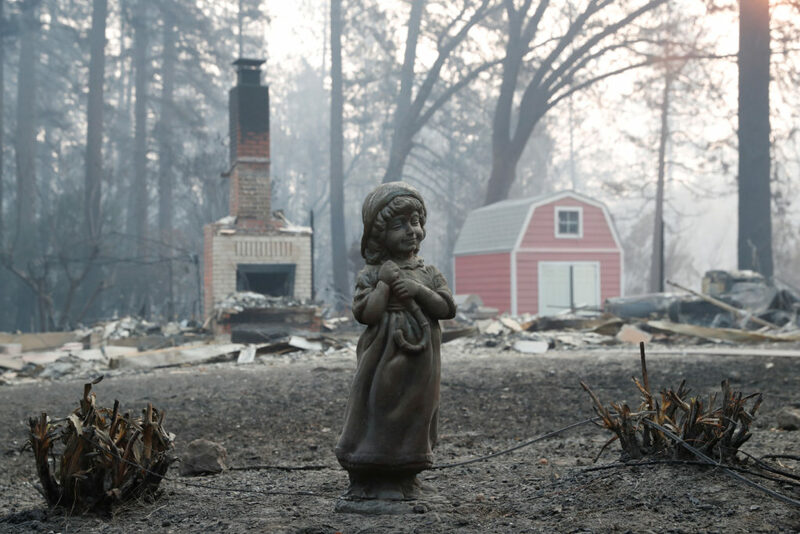 Schools in the county had been closed since Nov. 8, when the blaze swept through the town of Paradise and surrounding areas, destroying nearly 14,000 homes and killing at least 85 people in the nation’s deadliest wildfire in a century. Eleven people remain unaccounted for, down from a staggering high of 1,300 a few weeks ago. About 31,000 students in all have been away from school since the disaster. About 31,000 students in all have been away from school since the disaster. On Monday, nearly all of them went back, though some of them attended class in other buildings because their schools were damaged or destroyed, or inaccessible inside evacuation zones. Bella was shy and not very talkative but agreed she was excited to be going back. She wanted to see her friends. The small, tidy hotel room with two queen beds has been home to the family of five for some two weeks. 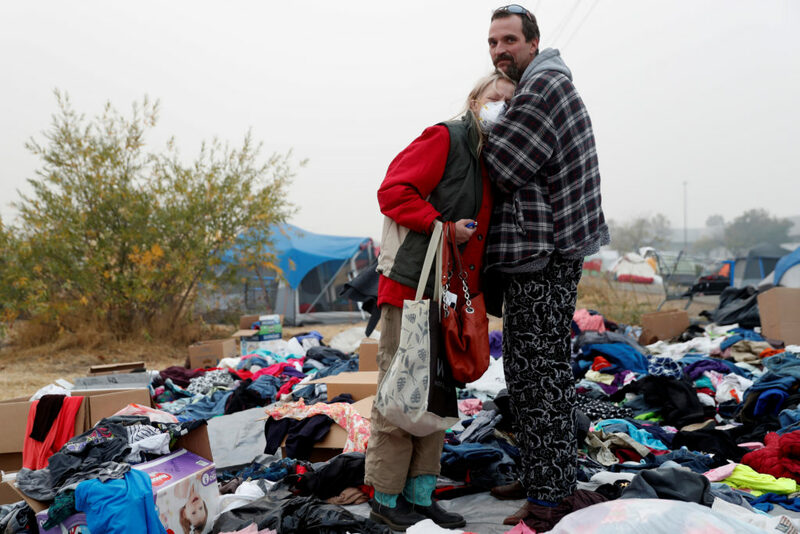 Since they lost nearly everything to the fire, there was little to clutter up the space. The Hails are booked there until February. “Bella, what time is it?” Hail asked her daughter, waking her up in their hotel room. “Seven dot dot three five,” came the 8-year-old’s sing-song reply. 7:35. It was time to brush her teeth, comb her hair and hit the road for a nearly hourlong drive to school in the family SUV. A few minutes later, at seven-dot-dot-four-seven, they were out the door. Some families driven out by the inferno have left the state or are staying with friends or relatives too far away for the children to go back to school in Butte County. 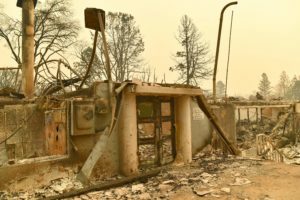 The Hails — whose five-bedroom, two-bath home in Paradise was destroyed — are staying in Yuba City, a long drive from their new school in Durham. It was shortly before the 9 a.m. start of the school day when they pulled up to Durham Elementary School, where Bella is in third grade and Vance is in half-day kindergarten. Across the county, nearly all of the teachers are returning to provide a familiar and comforting face to the children. Counselors brought in from around the country were in nearly every classroom Monday to help children who were distressed by their escape through a burning town and the loss of their homes, Paradise school Superintendent Michelle John said at a celebratory news conference. Many of the teachers lost their homes as well. The district doesn’t have space yet for intermediate and high school students whose classrooms were rendered unusable, so for the 13 days before the holiday break begins, they will learn through independent study. They will have access to online assignments and a drop-in center at a mall in Chico where they can get help from teachers or see classmates. Schoolwork will probably be secondary to dealing with trauma and reconnecting with friends, said Paradise High Principal Loren Lighthall.